With the population rising, the need for food has increased which is causing the agricultural industry to expand. This growth creates an increased demand for production and a need for the most effective and efficient processes. 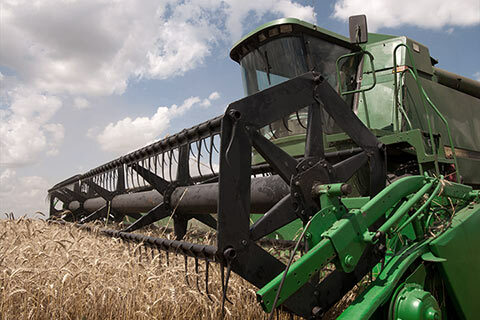 Due in large part to the growth of the agricultural industry, the global hydraulic cylinder market is expected to grow at a rate of 4 percent a year until 2020. Moreso than other industries and applications, this growth can be attributed to the agricultural industry. With that being said, applications like mining equipment, construction equipment, defense, aerospace, and others will also contribute to the increase in hydraulic cylinder production. Current estimates show that in fewer than 35 years, the global population will surpass nine billion people which undoubtedly increase the need for food and fibers which are provided by the agricultural industry. The increase in equipment means that it is more important than ever that any and all components used, including hydraulic cylinders, need to be durable, effective, and long lasting. At Best Metal Products in Grand Rapids, we are an industry leading manufacturer of hydraulic cylinders used in many industries and application. If you are an OEM who is looking for a trusted partner in the design, prototyping and manufacturing of high-quality hydraulic cylinders, do not hesitate to contact us today. We will work with you at every stage in the process to ensure the end product is exactly what you need.